It is estimated that over 1 in 100 people in the UK are on the autistic spectrum and awareness of the concept of ‘neurodiversity’ is rising. It recognises that autism, and other conditions that affect how people learn and process information – such as attention deficit disorders, dyslexia, dyspraxia, or dyscalculia – are a form of neurological difference, rather than being assumed to be a disability. However, there remains a significant employment gap – where people on the autistic spectrum are often willing and able to work, but struggle to find and maintain employment. Employment rates for adults with autism are considerably lower than for other groups. For example, only 32% of adults with autism in the UK are in some kind of paid employment. This compares with about 80% for non-disabled people and 47% for disabled people as a whole. There are also many people on the autistic spectrum who work, but are struggling to maintain employment or to progress their careers due to discrimination, lack of understanding and lack of effective support. “Many autistic people are simply brilliant people – highly educated, highly capable, detail-oriented, yet unemployed” James Mahoney, Executive Director and Head of Autism at Work for JPMorgan Chase. 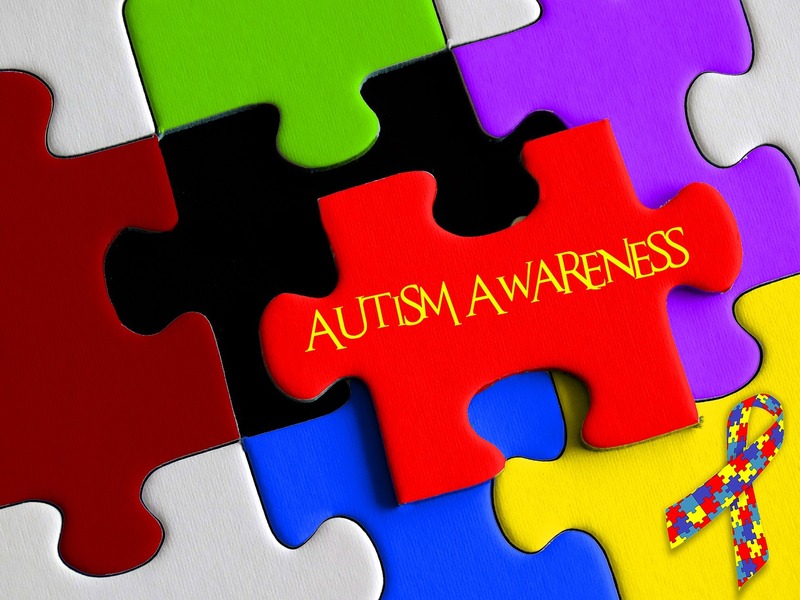 A lack of awareness and understanding means that some employers are fearful of the behaviour traits of people with autism, and the effect of these on their business, resources and other employees. Hiring processes, management practices and workspaces also tend to unconsciously favour ‘neurotypical’ employees. Research has shown that standard recruitment processes are a key barrier to employment for people on the autistic spectrum. Processes such as writing a CV, completing an application form, attending an interview, or doing a work-place assessment all rely heavily on social and communication skills. It may be difficult for people on the autistic spectrum to respond to open questions, or to abstract, hypothetical situations. They may be prone to conversational tangents, be overly honest about their weaknesses, or have difficulties in understanding body language and maintaining appropriate eye contact. ‘Good communication skills’ and ‘ability to work as part of a team’ are commonly listed as essential criteria in job descriptions – even though in practice, these skills may not be essential to the role. Thus, those on the autistic spectrum may find themselves ‘screened out’ of selection processes. The workplace itself can also be challenging for people on the autistic spectrum. Office etiquette, social interaction and the sensory environment (such as sounds, lights, smells, interruptions) may present difficulties. People on the autistic spectrum may also suffer from anxiety or low self-esteem, which can impact upon their working lives. Despite the challenges that they may face, research has shown that neurodivergent individuals also demonstrate a number of strengths of particular relevance to employment. People on the autistic spectrum are often good problem solvers and innovative thinkers, with particular strengths in analytical thinking, memory, pattern recognition, and attention to detail. Some often have an exceptional ability to assimilate and retain detailed information, which can result in highly specific interests and technical abilities in specific areas of work. Likewise, individuals with ADHD can have strong visual spatial reasoning and creative thinking abilities, and can be hyper-focused, passionate and courageous. Indeed, many of the world’s top entrepreneurs – including Sir Richard Branson – have ADHD. As such, forward-thinking employers are beginning to recognise that they are missing out on a large pool of potential talent. Large-scale corporations like Microsoft, JPMorgan, EY, SAP and Ford have all recently instigated neurodiversity initiatives. There has also been an increase in the number of small companies that employ almost exclusively autistic people – such as IT and compliance consulting business Auticon – and specialist employment agencies – such as Specialisterne – that help match autistic candidates with employers looking for specialist technical skills. There are a number of things that employers can do to help support employees with autism in the workplace. Many of these are low-cost and easy to implement, and have the potential to benefit all employees. The Chartered Institute of Personnel and Development (CIPD) recently published guidance for employers on becoming ‘neurodiversity smart’ – covering areas such as recruitment, induction, management and provision of on-the-job support for neurodivergent employees. They recommend considering alternatives to recruitment interviews that focus on the ability to perform the job role to ensure that organisations are not unintentionally screening out neurodivergent individuals. These may include work trials, work samples, practical assessments, and mini apprenticeships. They also suggest providing candidates with detailed information about what to expect, being clear about the purpose of assessments and being aware of the bias of ‘first impressions’ and the limits of interviews to judge on-the-job performance. In the workplace, suitable adaptations may include enabling employees who are disturbed by open-plan offices to wear earphones or face a wall, or to work from home where possible. Other adaptations may include the provision of formal or informal coaching or mentoring, regular breaks and access to flexitime, training and support for managers and colleagues, access to quiet spaces, flexibility regarding communication preferences, and clarification of any ‘unwritten’ organisational rules or office etiquette. There is no ‘one-size-fits-all’ response. What is key is that the support provided is both personalised to suit the needs of the individual employee, and sustained over time. It is also important that a culture is fostered where it is easy for employees to disclose their condition, to be open to suggestions for adaptations that suit each individual’s needs, and to raise wider awareness and understanding of neurodiversity among employees. The UK government has also committed to halving the disability employment gap by 2020. In order to achieve this, the number of autistic people in employment will have to double. Employers also have a legal duty to make reasonable adjustments under the Equality Act. However, becoming ‘neurodiversity smart’ is not just a legal or moral obligation – it is also essential if organisations are to harness the skills of this significant pool of untapped talent. Follow us on Twitter to see what developments in public and social policy are interesting our research team. If you found this article interesting, you may also like to read our article on ‘Girls with autism‘. This entry was posted in Employment, Employment, jobs and careers, Equality and Diversity, Management and organisational development and tagged autism, diversity, employers, employment, employment support, Equal opportunities, human resource management, neurodiversity, people with disabilities, recruitment, retention. Bookmark the permalink.